7. 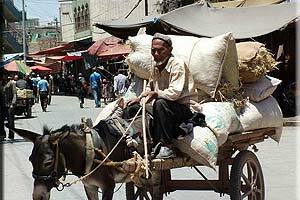 Kashgar and Turpan, Xinjiang – China’s western-most province has taken quite the hit in tourists and a destination of Silk Road adventure. This is a huge tragedy, because Xinjiang is easily one of China’s highlights. I spent my May holiday centred around the cities of Kashgar and Turpan this past year, and I simply fell in love with both locations. Kashgar is simply a complete other world from Eastern China, and is an excellent base to explore the Taklamakan desert and the Khartoum Pass. To be honest, I wish that I had spent more time in and around the Khartoun pass, and would love to go back and make it all the way into Pakistan. Turpan, with its ancient desert ruins is an amazing treasure trove of Silk Road history and is well worth a few days. If you are interested in more details of this trip of mine please check out the feature I wrote for ChinaTravel.net back in July. Of course, be sure to check up on current events before heading to a location with such a recent history of violent outbreaks, although I believe that both Kashgar and Turpan would be safe. 8. Macau – I know, I know, this is hardly removed from the beaten path. However, I have gotten the sense that most people only go to Macau as a day (or night) trip from Hong Kong. I really do not think that this is very fair to China’s “other” SAR which is a great destination in its own right. While most visitors go to the glitzy casinos, a short stroll across the peninsula to the area around the Church of St. Paul will feel like an entirely different world. The relaxing islands of Taipa and Coloane will feel even more removed from the high rollers at Lisboa and Sands. 9. Emei Shan, Sichuan – Need to add a bit more to your trip to Chengdu which is a hot destination included in popular China tour package to see giant pandas? Well Emei is certainly worth a trip! One of China’s four sacred Buddhist mountains, there are enough dramatic cliffs, beautiful temples, and wild monkeys to keep you busy. I spent two days hiking up the mountain, and I certainly wish that I had reserved another day to explore it further. There are a host of dorms (including several at the temples) that provide cheap lodging. The sunrise across the “Sea of Clouds” is worth the leg cramps you get from the thousands of stairs. For thousands of years, there was an ancient road treaded by human feet and horse hoofs in the mountains of Southwest China, bridging the Chinese hinterland and the Qinghai-Tibet Plateau. Along the unpaved and often rugged road, tea, salt and sugar flowed into Tibet, while horses, cows, furs, musk and other local products came out. The ancient commercial passage, dubbed the "Ancient Tea and Horse Road", first appeared during the Tang Dynasty (618-907), and lasted until the 1960s when Tibetan highways were constructed. Meanwhile, the road also promoted exchanges in culture, religion and ethnic migration, resembling the refulgence of the Silk Road. The road stretched across more than 4,000 kilometers mainly in Southwest China's Sichuan and Yunnan provinces and the Tibetan Autonomous Region, which are most-visited tourists' destinatons contained in private tour of China. Just as the Silk Road, the Ancient Tea and Horse Road disappeared with the dawn of modern civilization, but both routes have played very important roles in the development of China. Different Chinese ethnic cultures, such as the Dai, Yi, Han, Bai, Naxi and Tibetans, have met, fused and developed along the historic road. According to Tibetan classics, people of the Tibetan ethnic group in western Sichuan Province and northwestern Yunnan Province had access to famous types of tea from the Central Plains during the Tang Dynasty. In the Song Dynasty (960-12t79), people of Yunnan and Sichuan provinces exchanged tea for Tibetan horses. According to some who had once traveled along the Ancient Tea and Horse Road, Pu'er tea is most favored by the Tibetan people. Since the butter tea made of Pu'er tea is highly esteemed both in taste and color, it was named after its producing area -- Pu'er County in Yunnan Province, which is one of the cradles of China's "tea culture". During the Tang Dynasty, Pu'er tea was grown in areas flanking the Langcangjiang River. It was described as having a bitter taste at first, then sweet. During the World War II, when Myanmar fell into the hands of the Japanese, the Yunnan-Myanmar Highway -- then China's only international thoroughfare -- was cut off. The Ancient Tea Horse Road, extending from Lijiang in Yunnan, to Kangding in Xikang, and then to Tibet and even further into India, was revived and became a major trade route. With the opening of the Yunnan-Tibetan and Sichuan-Tibetan highways in the 1960s, the road declined. Some sections of the famous road, however, are still used for transport purposes. Today, the road comes to the fore again with the development of China tourism in Yunnan and Sichuan provinces, as well as in the Tibetan Autonomous Region. The road passes through subtropical forests and picturesque lakes and turbulent rivers, such as Langcangjiang, Nujiang, Minjiang and Yarlung Zangbo. Heading west from the Hengduan Mountains, one has to cross many peaks -- each towering 4,000-5,000 meters above sea level. But tea and horses have blazed a trail despite the challenges posed by mountains and forests. Roads devoted to the tea-horse trade linked ethnic groups living in areas near the roads, making them members of the great Chinese nation. Begins in Xishuangbanna and Simao, home of Pu'er tea (via Dali, Lijiang, Zhongdian, Benzilan and Deqeng) in Yunnan Province to Zugong, Bamda, Rewoqe, Zayu or Qamdo, Lholung, Benba, Jiali, Gongbogyangda, Lhasa(a must-see for Tibet tours), Gyangze and Yadong in Tibet, before continuing into Myanmar, Nepal and India. Begins in Ya'an in Sichuan Province to Qamdo via Luding, Kangding, Litang and Batang before merging with Route One into Lhasa. Millions of tourists outside China wants to know the question of ¡°How do I get into Tibet¡±. By comparison with other places in China, Tibet has never been an easiest place to visit. Beside the obstacle of mountain roads and the lack of oxygen in the air, travel permit is another hindrance for visitors to enter Tibet. You can get the detailed info about Tibet travel permit through the following. Visitors who want to visit Tibet need a travel permit which can help you aboard the train or flights to Lhasa. Before applying for the permit, visitors need to pre-arrange an itinerary through a tour agent. In addition, if you have a plan to visit outside Lhasa Prefecture, you have to get these places by hiring transportation and a tour guide. If you decide to get to Tibet from Nepal, you will have to travel on short-term group visa, which is hard to extend. There are three kinds of permits: Tibet Tourism Bureau (TTB) Permit, Travel Permit or Aliens¡¯ Travel Permit and Military Permit. TTB permit, which is a necessity for foreign tourists to visit Lhasa or other parts of the Tibetan Autonomous Region, can only be gotten through a tour agency in Tibet (agencies outside Tibet can arrange trip, but ultimately they book through a Tibetan-based travel agency). Aliens¡¯ travel permit which is issued by the police is needed to visit ¡®unopened¡¯ areas. You are asked for the passport and TTB permit and submit it to the Foreign Affairs Section of Public Security Bureau for the Aliens travel permits. Visiting sensitive border such as Mt Kailash are required to show military and a foreign-affairs permit. The Military Permit is issued by troop while the Foreign-affair¡¯s permit by Foreign affairs office in Lhasa. 1. The photo copy of Chinese Visa and passport is a must. You can email them to the Tibetan-based agencies you choose 20 to 30 days before arriving in Lhasa. The photo copies must be in large size and clear enough. 2. You have to arrange an address in China such as hotel, guesthouse and local agency to receive your TTB permit. 4. Agree price and send deposit through Paypal or bank transfer. By the way, if you are a journalist or embassy staff, you will find it impossible to get TTB permit., while the visitors on business matter or resident visa don¡¯t seem to have a problem. Hope that the above-mentioned information can help you if you plan to visit Tibet.